Gates open at Pheasant Wood, Marulan at 7:30 am on Sunday morning, 7th April 2019. That means a 5am start from the South Coast. Perhaps we have a better idea. 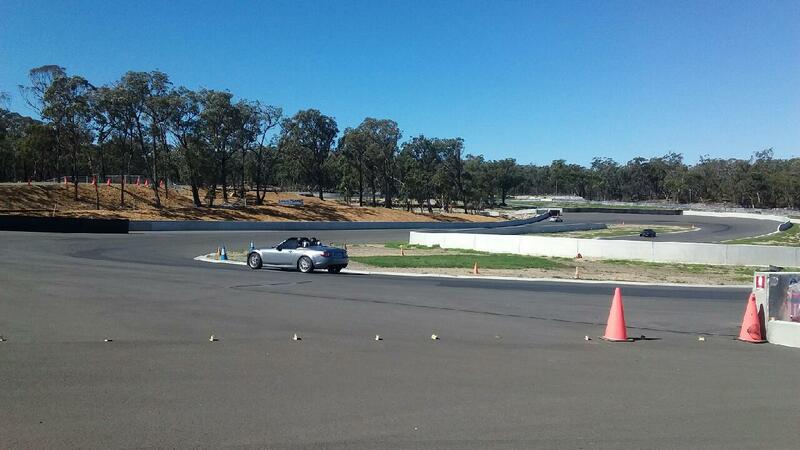 How about a pleasant drive on Saturday afternoon, overnighting at Marulan. We set off for a drive up the coast after lunch on Saturday, up Cambewarra Mountain with no traffic going up, down through Kangaroo Valley and up the other side at Barrengarry Mountain. We were having a lovely drive through the Southern Highlands and reached Bundanoon just in time to see all the traffic from the Highland Festival leaving. Apparently, the event drew 13,000 spectators and cars were parked for kilometres each side of the town. So, a bit slow through Bundanoon but out the other side and it was pleasant driving again. 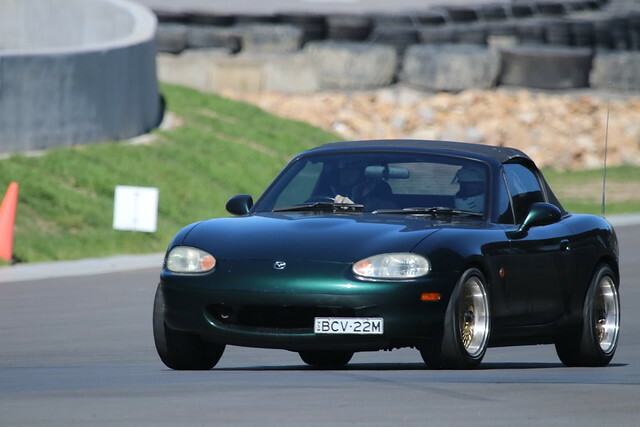 We checked in to the Marulan Motor Inn and noticed a few other MX-5 owners had the same idea. After a lovely dinner at the motel restaurant we had an early night, ready for the next day. Arriving at the appointed hour at the track we greeted a few familiar faces and completed our registration process. As first timers we attended the briefing by Bryan Shedden on car preparation and driving techniques. The briefing included a very useful video of a lap of the track pointing out the right lines through the corners and each of the apexes. Then it was on to the track work, everyone just a little nervous. On with helmets, collect your advisor and away you go. 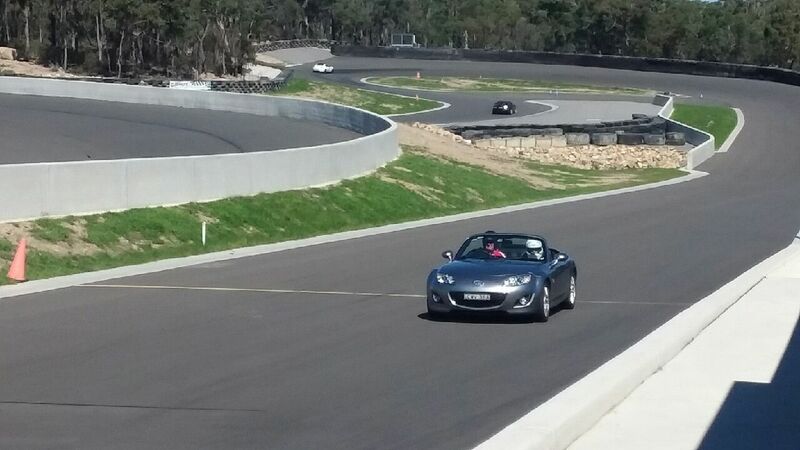 It did not take long before careful tuition saw drivers taking the right lines and hitting those apexes. Speed rose with rising confidence and correct cornering technique. 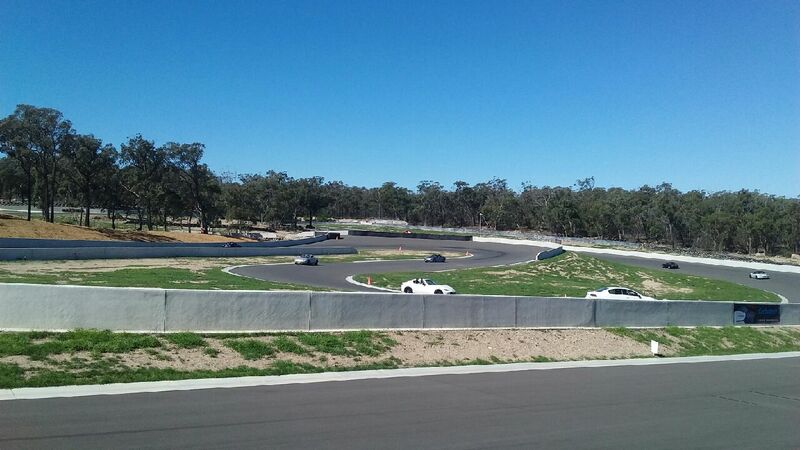 Even the most tentative drivers were soon enjoying the experience and the end of each session was highlighted by the smiles on the drivers faces. All too soon the last sessions were upon us and it was time to go home. Bryan had predicted a degree of exhaustion for the end of the day and he was right. 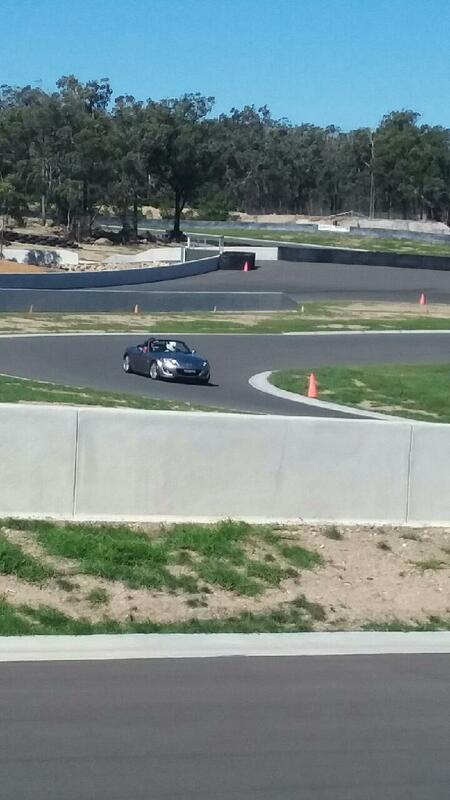 The drive home saw us finding all the corner apexes and picking the right lines through corners. 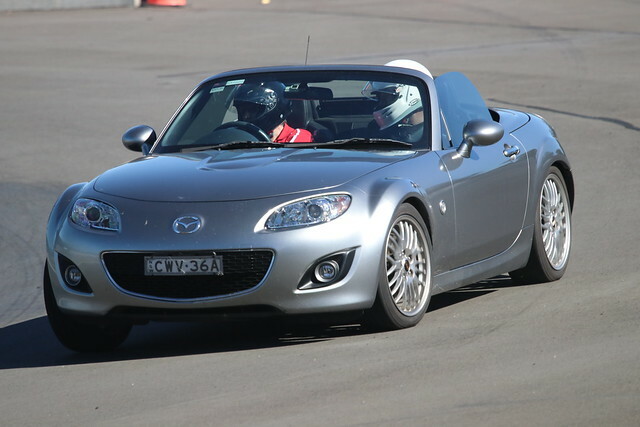 Even us older drivers with many years driving experience learned a few new tricks to make us better drivers. No doubt we will see some of the more adventurous hitting the track again on race days.